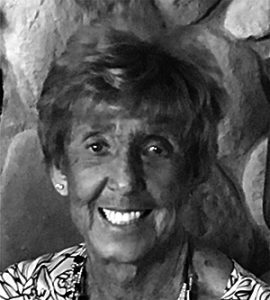 Phyllis Jean Simpson, 84, of Charlotte, died peacefully August 21, 2018 at her home. A beloved member of the community who devoted her life to God and to helping others, she was born July 30, 1934 in Rochester, Mich. to Hiram and Mildred (Abbott) Barney. Phyllis graduated from Vermontville High School in 1952 and then married John Simpson on August 29, 1954 at Gresham United Methodist Church. The central theme running through Phyllis’s life is that of nurturing. She cared for, and helped develop many organizations and causes she believed in. For example, she received the “Gold Clover” award and “Friend of 4-H” award from the 4-H club for 40 years of volunteer service, received the “Outstanding Farm Woman” award for her work with Farm Bureau on many projects, including “Ag in the Classroom,” was awarded the “Emerald Award” from the Eaton County Youth Fair, spent 50 years in the Extension Club of Eaton County, worked with the Chester Township election board for decades, and was a UMW member and secretary to the advisory board for more than 25 years at Gresham United Methodist Church — where she faithfully served by making the weekly programs, helping put on turkey suppers and ice cream socials, and caring for countless others. Not only did Phyllis nurture others and her community, but she also loved to nurture plants. She could often be found tending to her garden — planting flowers or cultivating vegetables. She especially loved her strawberries and made delicious jam that the family loved. She and John loved their farm, where they have resided since 1963. Together, they were inducted into the Michigan Farmers Hall of Fame in 2002. She was also a partner in Simpson Pioneer Seeds. Phyllis and John loved to travel – often on farm tours or with friends – and she was proud to say that she had been to all 50 states. But the reason she will be remembered most is that Phyllis nurtured relationships. First, and foremost, she served God every day. She got up and read her Bible for an hour each morning, developing her faith and her spirituality. She never said a bad word about others, but devoted her life to being accepting, loving, and kind. She was devoted to her marriage and her family, and loved her children and grandchildren dearly. Phyllis is survived by her husband of nearly 64 years, John Simpson; children, Marilyn (Stanley) Marshall, Wayne (Sandy) Simpson, Diane (Sheldon) Enterline; grandchildren, Angel Andrews, Kathleen Marshall, Samantha (Lam Pham) Marshall, Josh (Lindsay) Simpson, Jason Ross, Josh Ross, and Jeff Ross; great-grandchildren, Kalli (Matt) Mongar, Kadence Andrews; great- great-granddaughter, Aubree Mongar; siblings, Louise (Richard) Todd, Leonard (Bonnie) Barney; and brothers- and sisters-in-law, Marvel (LaMarr) Weers, Max (Sandy) Simpson, Lois (Ken) Klumpp, Albert (Jaynne) Simpson, and Roy (Krys) Simpson. She was preceded in death by her parents and beloved grandson, Clifford Marshall. Friends are encouraged to support Phyllis’s family at visitation and funeral services, with visitations on Saturday, August 25, from 6 to 8 p.m. and Sunday, August 26, from 1 to 4 p.m., and Funeral Services on Monday, August 27 at 10 a.m., with Pastor Bryce Feighner officiating. If desired, the family suggests donations to Hospice of Lansing or the Gresham United Methodist Church Memorial Fund for a new roof on the church building. Please share memories of Phyllis on her tribute page at PrayFuneral.com. 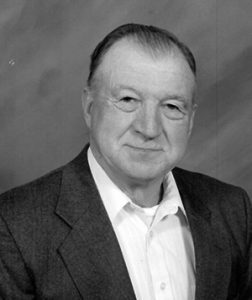 Raymond Elmer Beebe, 92, of Six Lakes, passed away peacefully at his home on August 15, 2018. Raymond was born on November 28, 1925 in Marion, Mich., the son of Raymond and Ada (Carpenter) Beebe. He was raised in Marion where he attended a one-room school house. Ray served his country honorably in the Navy during WWII, aboard the USS Bunch. During the Okinawa conflict he delivered soldiers to land on troop carriers. He married Lelia Barbara King in Sunfield on September 5, 1947. Ray owned a farm in Vermontville and worked for General Motors in Lansing as a parts inspector on the loading docks, retiring at age 55, after 30 years. It was at that time he moved to the Six Lakes area. Ray loved to play euchre and spending time outdoors, hunting and fishing, especially ice fishing with friends and then sharing his catch with area Senior Centers. He was a member of the Pleasant View United Brethren Church in Blanchard. Raymond will be missed and is survived by his children, Leon Ray Beebe, and Cee Jae King; 10 grandchildren; 15 great-grandchildren; sister, Dorothy Wiggins; and special friend, Betty Loomis. He was preceded in death by his parents, Raymond and Ada Beebe; his wife Lelia; daughter, Carolyn Faye LeMarie; five brothers; one sister; and grandson, Travis Quay. Funeral services for Raymond will be Monday, August 20, 2018 at 11 a.m. with visitation at 10 a.m., at Brigham Funeral Chapel in Lakeview, with Pastor Buzz Stone officiating. The family will greet friends at Brigham Funeral Chapel in Lakeview on Sunday, August 19, 2018, from 1 to 4 p.m.
Memorial Contributions may be made to the Pleasant View United Brethren Church of Blanchard. Condolences may be made utilizing the guestbook at brighamfuneralchapel.com. 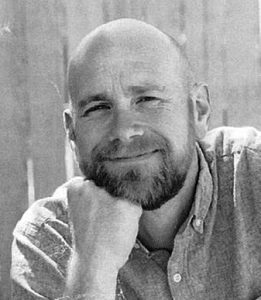 On July 1, 2018, James Ammon passed away in Tijuana, Mexico. James was born May 27, 1977 in Lansing and raised in Charlotte by his parents, David and Donna Ammon. James graduated from Charlotte High School in 1995, and attended the new Tribe Mission in Jackson. He was a missionary in Mexico, where he met the love of his life, Betty. They were married in 2011, living in El Centro, Calif. and starting their family, which included three children, David, Alan, and Charlotte. For the past 10 years, James has worked for the U.S. Border Patrol in Calexico, Calif.
James is survived by his loving wife, Betty; children, David, 10, Alan, 7, and Charlotte, 4; parents, David and Donna; mother-in-law, Marina Najera; aunts, uncles, and cousins. He was preceded in death by his brother, Tim; and grandparents. The family was served by Christ Community Church and U.S. Border Patrol. He was interred with military honors at Evergreen Cemetery in El Centro on July 10. Marion R. Heisler, 91, of Nashville, died August 10, 2018 at The Flower House in Nashville. Marion was born on December 19, 1926 in Lansing to Wendell and Martha (Getter) Walter. She graduated from Lansing Everett High School. She was married on December 13, 1947 to Kenneth F. Heisler. She has lived in Kalamo Township the majority of her life. Marion was a homemaker and had worked at the former Owens-Illinois Glass Factory in Charlotte for a short time. She enjoyed flower gardening. Mr. Heisler preceded her in death in February of 1991. Surviving are her son, Larry (Eleanor) Heisler of Nashville; daughter, Linda (Gilbert) Berkner of Athens, Texas; and a step-son, James (Carol) Heisler of Battle Creek; nine grandchildren and numerous great-grandchildren; her sisters, Joan (Clarence) Wheeler of Mason and Janice Knowles of Sierra Vista, Ariz.; a brother, Wayne (Joyce) Walter of Lansing: and nieces and nephews. She was preceded in death by her parents; her husband; her son, Daniel Heisler; brother, Glenn Heisler; and sisters, Joyce and Phyllis. Family graveside services were held at Kalamo Township’s Hillside Cemetery. Arrangements were made by the Bellevue Chapel of Kempf Family Funeral & Cremation Services. Scott Douglas Johnson, 55, of Charlotte, passed away Saturday, August 11, 2018, as a result of an automobile accident. He was born May 20, 1963, in Charlotte, the son of Larry D. and Linda L. (Preston) Johnson. 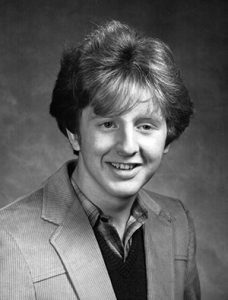 Scott graduated from Olivet High School with the class of 1981. On July 9, 2005, Scott married Sandra Marie Burkett at her family’s home in Bellevue. Scott enjoyed rock music, the Michigan Lottery, taking part in radio contests, and playing cards with family and friends. He is survived by his daughters, Shadilea Marie Johnson of Royal Oak; Hannah Rose Johnson of Charlotte; father, Larry (Sharon) Johnson of Olivet; brother, Steven (Michelle) Johnson of Holland; nieces, Ashley Johnson, Emily Johnson; step-daughter, Laci (James) Newman of Bellevue; step-grandchildren, Blake Burkett, Landon Newman, and Logan Newman. Scott was preceded in death by his mother, Linda on November 22, 1973; and wife, Sandra Marie Johnson on January 5, 2018. A memorial service was held on Friday, August 17, 2018, at 2 p.m. at Burkhead-Green-Kilgo Funeral Home, with Pastor Steve Byrens officiating. The family received friends one hour prior to the service at the funeral home. Those desiring, may make contributions in Scott’s memory to the City On A Hill Community Church, 206 N. Main St., Olivet, MI 49076. Daniel Raymond Cowden, 70, of Charlotte, passed away unexpectedly Thursday, August 2, 2018. He was born July 21, 1948, in Plant City, Florida, the son of Raymond Cowden and Mary (Shepherd) Smith. On May 2, 2002, he married Gloria Jean Prine in Charlotte. He worked his entire career as a journeyman carpenter. Dan had a passion for all things outdoors. He loved spending time hunting, fishing, gardening, and working in the woods. Dan was also known for spending many hours in the kitchen, either cooking a delectable meal or canning some of his homegrown produce. Another favorite pastime was playing pool and euchre with friends. Dan was a very social person and always looked forward to a great time together with those he loved. Dan is survived by his wife of 16 years, Gloria; sons: Randy (Adela) Bryant of Miami, Florida, Daniel (Christine) Cowden of Miami, Florida, Anthony Cowden of Dallas, Texas; stepchildren: Michael Burch of West Virginia, Tracey (Sarah) Burch of Texas; 13 grandchildren; four great grandchildren. A memorial gathering was held Tuesday, August 7, 2018 at the American Legion Post 42, 1000 W. Lawrence Avenue, in Charlotte. Those desiring may make contributions in Dan’s honor to Eaton Community Palliative Care, 2675 S. Cochran, Charlotte, MI 48813. To view Dan’s obituary online or to leave a condolence for the family please visit www.burkhead-greenfuneralhome.com. 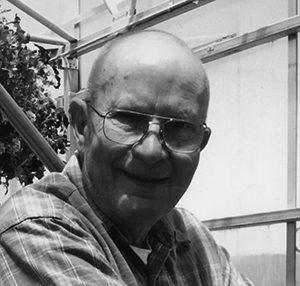 Raymond Edward Potter, 89, of Charlotte, died peacefully Thursday, August 2, 2018 in Hastings. Ray was born September 6, 1928 near Charlotte, the son of Carl H. and Edith Mae (Xanders) Potter. He attended Potterville Schools before going right to work on the farm with Harold Cole. Throughout his life he enjoyed farming, and eventually purchased his own farm. He also worked at Aluminum Extrusion until their plant closure in 1988. Ray then worked five years at Hastings Manufacturing, retiring in 1994. Ray loved his time outdoors on the farm, riding John Deere tractors, and taking care of his lawn. Indoors, he played on a bowling league, and was an avid pool and euchre player. Ray and Joan were active members of Chester Gospel Church and practiced their Faith throughout their daily lives. Above all, Ray loved his family. Ray is survived by his wife, Joan Potter; two sons, Reginald (Virginia) Potter and Steve (June) Potter; two daughters, Susan (John) Boyles and Kathy Potter; two step-daughters, Eloise (Dale) Berry and Joyce (Larry) Wait; step-son, Roy (Sharon) Letson; 12 grandchildren; 23 great-grandchildren; and several step-grandchildren and step-great-grandchildren. He is predeceased by his parents; first wife, Mavis Royston; second wife, Elsie Baas; son, Samuel Potter; great-grandson, Dillon Boone; brothers, Royce Potter, Milton Potter, Merlin Potter, and Max Potter; and sisters, Mildred Verhelle and Margaret Verhelle. Friends are encouraged to support Ray’s family at visitation and funeral services. Funeral services will be at 11:00 a.m. on Monday, August 13, 2018 at Pray Funeral Home with Rev. Marc Livingston officiating. Visitation will be from 4:00 – 7:00 p.m. on Sunday, August 12, 2018 at the funeral home, and one hour prior to the service on Monday. If desired, the family suggests memorial contributions to Great Lakes Hospice. Friends and family are encouraged to share memories of Raymond on his tribute page at www.PrayFuneral.com. The family is in the care of Pray Funeral Home, Charlotte. Mary Jane (Teubert) Durham, 80 of Charlotte, was born in Allen Twp., Hillsdale County, Michigan on July 5, 1938. She entered the presence of her Lord and Savior Jesus Christ on August 2, 2018 at 5:30 p.m. Mary was diagnosed with pancreatic cancer on May 1, 2018. She was the sole survivor of her family, outliving her four siblings. Mary was predeceased by her mother, Lillian (Hamilton) Teubert; father, Edward Teubert Sr.; brother, Edward Teubert Jr.; sisters, Harriet Teubert, Charlotte (Teubert) Barnes, and younger brother, Larry Teubert Sr. She is survived by her husband, Alan Durham; son and daughter-in-law, Robert and Billie Jo Durham; daughter, Cathy Reed; grandchildren, Cody and Lauren Durham, Chad Durham, Korin Steen, Kayla Dysard, Martina and Corey Biddinger, Mary Reed; and nine great-grandchildren. Mary was a nurse in Battle Creek from 1957 to 1962. She fostered 25 children in Hillsdale County and Eaton County and was awarded foster parent of the year in Eaton County. She volunteered as a nurse for Eaton Community Palliative Care for eight years. In 2008 she was awarded volunteer of the year for excellent caregiver. She loved her family, children, grandchildren and foster children. Each one was special to her. She took particular pride of her home and grounds. There will not be any memorial services, per her request. She wanted us all to remember her as she was. Anyone wishing to donate may give memorial funds to McLaren Hospice of Lansing, or Allen United Methodist Church of Allen, Michigan 49227. 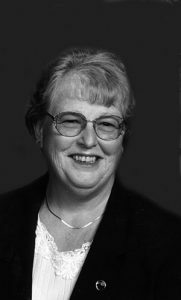 Friends and family are encouraged to share memories of Mary on her tribute page at www.PrayFuneral.com. The family is in the care of Pray Funeral Home. Barbara J. Wright, 88, of Charlotte, passed away July 28, 2018. She was born on June 20, 1930 to Howard O. and Jessie M (Perry) Boyd in Vermontville. She was an only child, so she was delighted to have the instant addition of siblings to her life when she married Dewayne Wright. She took her job as a homemaker and mother very seriously, and was very proud of her husband, children, and grandchildren. She loved conversations, whether at coffee time with her McDonald’s friends, or her fellow genealogical society members; she loved to talk. She enjoyed sewing, knitting, crafts and traveling all over the country. Barbara would say she never met a person she didn’t like. She enjoyed her time searching with the Vermontville Historical Society and Eaton County Genealogical Society with efforts to preserve the stories and items collected. Barb is survived by her children, Linda (Mike) Kenyon, Debra (Dave) Ressler, Cindy Rochester, Denise (Randy) Kendra; grandchildren, Sarah, Eli, Ross, Zachary, Kirby, Patrick, Lexi; eight great-grandchildren; sisters-in-law, Bonnie (Linton) Wright-Warner, Alice Edwards, Patty Butler; brothers-in-law, Larry (Patti) Wright, Raymond (Flossie) Grant. She was preceded in death by her husband, Dewayne; son-in-law, Rick Rochester; grandson, J. Patrick; and her parents. Funeral services were held Wednesday, August 1, 2018 at Pray Funeral Home in Charlotte, with Rev. Andy Shaver officiating. If desired, the family suggests memorial contributions to charity of your choice. Friends and family are encouraged to share memories and condolences on Barbara’s tribute page at www.PrayFuneral.com. The family is in the care of Pray Funeral Home, Charlotte.